RM110 off with Code "MYSAKURA110". RM1,300 min spend (App Only). Ends 30 Apr. (App Only) New Customers Exclusive - RM10 off with Code "SHOPBACK", RM45 min spend. T&Cs apply. Ends 31 May. Cotton On Deal: 10% off on Full priced products & latest arrivals with ShopBack Exclusive Promo Code "EXCSHOPBACKMY10". Promotion ends 31 May 2019. RM10 off your first reservation with Code "SHOPBACK". Ends 30 Apr. RM80 shopping voucher is yours with purchase of selected Printer. Ends 30 Apr. Special for New Customers! Book Airbnb & enjoy RM40 Cashback with minimum spend of RM375! Daily deals & special discounts on groceries from your favorite supermarkets! Save big on hotels & vacation rentals in Asia! Pick hotels, resorts, hostels, vacation rentals, guesthouses and more from AsiaYo. Flower Advisor: 15% off for All Customers with Promo Code "15SHOPBACK". T&Cs apply. Promotion ends 30 April 2019. Motherhood Deal: New User Exclusive - RM10 off with Promo Code "TAGMOMNEW". No minimum spend required. First 100 redemptions only. Motherhood Deal: Enjoy 10% off with ShopBack Exclusive Promo Code "SHOPBACKMOM" when you spend min RM100. Promotion ends 31 December 2019. ShopBack brings to you the smarter way to shop. As the largest cashback site in Malaysia, ShopBack has more than 8 million total users and over 8 million total app downloads in the Asia-Pacific alone. Established in 2014, ShopBack has grown quickly and tremendously to seize the Gold Award for Best Start-up in 2015 as well as took the spot as winner of the Emerging Enterprise Award and the Global Mobile Challenge in 2017. 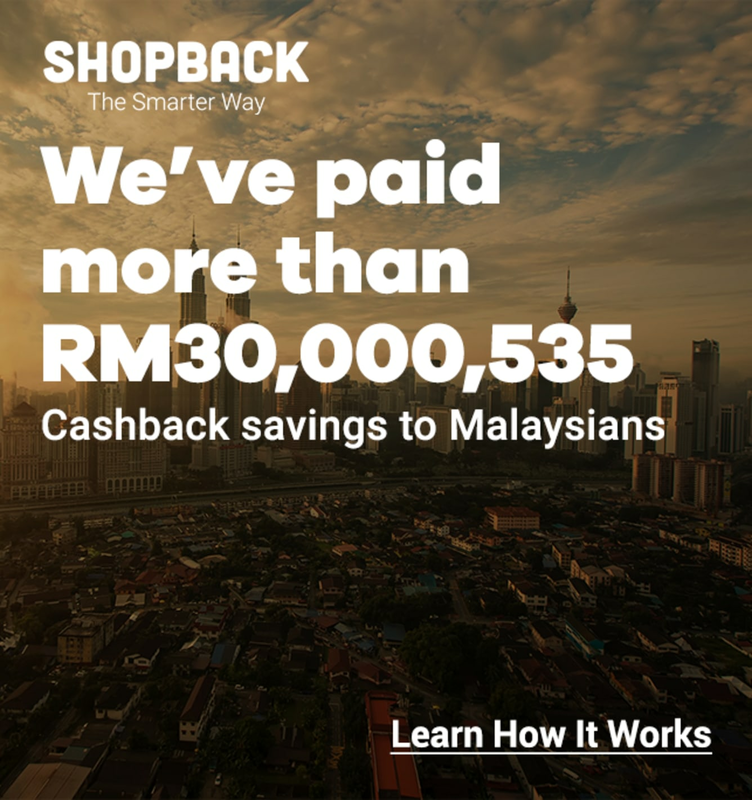 Since 2014, ShopBack has awarded more than USD30M in cashback so do your shopping via ShopBack Malaysia and get up to 30% of your cash back. Get access to a whole range of exclusive offers, not to mention vouchers and promo codes, from a wide variety of merchants such as fashion, food, services and plenty others – all on one platform. Each time you make a transaction through ShopBack, you get a percentage of your money back. Aside from redeeming discount and promo codes, cashback is another way of getting savings for your online purchases. 2. Look for your favorite online store on ShopBack and click on the store that you’d like to visit. A pop-up will appear and you will be re-directed to the store. Please do not close the tab or your cashback might not be tracked. 4. After you complete a transaction and would like to make a new order, you will need to click through ShopBack again. 5. Repeat this entire process starting at ShopBack every time you make a purchase. Please note that it will take up to 48 hours for your cashback to be processed and reflected in your ShopBack account. Your pending cashback will require between 1 and 120 days to be validated by our merchant and claim varies for different merchants. After you’ve accumulated a substantial amount of cashback in your ShopBack account, you may transfer the sum through 2 ways – Transfer to Bank or Transfer to Paypal – and then withdraw as cash. Do note that the minimum available balance in your account must be RM10. Your withdrawal request will then be processed and deposited into the selected account between 7 and 14 working days. Apart from offering up to 30% cashback, ShopBack also gives you access to the latest promo codes from our 500+ merchants. Keep your eyes peeled for exclusive coupons from our top online stores. Lazada Malaysia is a one-stop online shopping destination in the region. With more than 300 million unique products available, Lazada offers a whole gamut of products ranging from fashion pieces to household appliances and more. By operating online, it removes physical operating costs to give you the best price possible for your items. In addition, there are often Lazada vouchers and promo codes up for grabs to help you save even further. As the fastest growing online fashion retailer in Asia, ZALORA boasts of its 200 million visits and over 4 million app downloads. ZALORA offers an extensive collection of international and local brands and designers such as MANGO, Aldo, Adidas and River Island. Every customer is ensured a fuss-free experience with their excellent digital and customer service. Year-round sales abound at ZALORA with discounts that can go up to 80%. Score even greater discounts when you apply ZALORA promo codes. Online shopping has never been more secure, easier and faster than with Shopee. Being one of the leading e-commerce platforms in Southeast Asia and Taiwan, Shopee works towards providing customers with a seamless online shopping experience. At Shopee, rest assured that you will get items ranging from clothes and beauty products to home appliances and other gadgets at discounted prices. With frequent online sales events, you can never be short on Shopee vouchers to get your money’s worth. 11street is a one-stop online shopping website that offers a variety of products that spans across categories like fashion, health & beauty, home & living, baby, kids & toys and many more. Since the year it first launched, 11street Malaysia has connected multiple sellers and buyers to ensure that sellers can sell their products at competitive prices while buyers can purchase their items at a good price. To enhance the consumer experience further, they also frequently dole out 11street coupons to their users. Foodpanda currently operates successfully in several cities in Malaysia – Kuala Lumpur, Penang, Petaling Jaya, Subang, Shah Alam, Cyberjaya and Johor Bahru. It offers a convenient food delivery service wherever you are from the eateries nearest to you. Users get to enjoy food delivered from more than 700 restaurants so there will always be something for everyone. Foodpanda also has daily discounts, free delivery and many more deals that makes their service friendly on your wallets. Apart from that, there are Foodpanda vouchers available on ShopBack. Last year ShopBack ended the year with a bang by organising ShopFest – the year-end shopping festival that headlined six major shopping events. This year began with Chinese New Year promotions that gave our shoppers the best deals to shop for new clothing and Chinese New Year goodies. Celebrate Hari Raya Puasa with one of the year’s largest sales period – Promosi Hari Raya 2019. In the weeks leading up to Hari Raya, you’d surely want to get some stylishly new clothes, delicious snacks and possibly even some home décor to spice up your home. Therefore, from 6 May to 4 June, keep a lookout for Hari Raya promotions from some of your favourite stores through ShopBack. Expect to get major deals from merchants like ZALORA, Hermo, Fave and others. Organised by the Multimedia Development Corporation, MYCYBERSALE is Malaysia’s biggest online sales event. It aims to bring together online e-commerce companies and to promote e-commerce here. This event is held over the course of 5 days – from 9 to 13 October 2019. Even before the event begins, there will be some exciting cyber discounts during the Pre-MYCYBERSALE where there are many attractive cyber sale promo codes and deals from the different online stores. When the MYCYBERSALE officially begins, get up to 50% upsized cashback from merchants like 11street, Qoo10 and Agoda when you shop via ShopBack. stand a chance to win RM50,000 worth in lucky draw prizes. Black Friday this year falls on 29 November, the day after Thanksgiving and is regarded as the start of the online holiday shopping season. On the other hand, Cyber Monday refers to the Monday following Thanksgiving weekend. There are often major price reductions for specific products during the Black Friday sales while Cyber Monday as more site-wide or category-wide discounts. Generally, big ticket items such as laptops and other large household appliances tend to have their prices slashed to almost half their original prices during a Black Friday sale. Apart from online stores such as ASOS and Shopee having considerable discounts with sales and promo codes, ShopBack also offers upsized cashback on selected merchants. 11 November, 11.11, and also known as Singles’ Day, is the largest annual shopping day in the world. Each year, it brings exclusive deals and promos to a wide spectrum of shoppers. However, 11.11 isn’t just for the avid shopper. 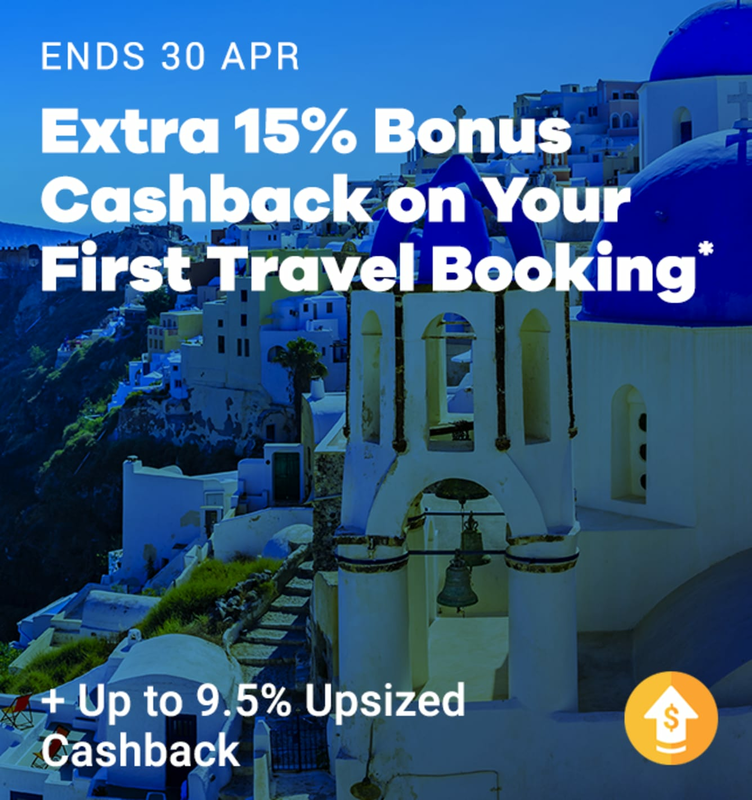 Apart from having promotions for clothing, electronics, personal care items and more, there are also travel promos for flights and accommodations. If you intend to take a trip out of the country, then check out websites like Expedia and Malaysia Airlines. There are always Expedia promo codes and Malaysia Airlines vouchers for the taking. After 11.11, the next online shopping sales to look forward to for your shopping endeavors is 12.12. Falling on 12 December, it is the last major sale before Christmas. There’s no better time than 12.12 to do your shopping for Christmas. Get your Christmas party décor with 11street coupons or perhaps purchase Christmas gifts for your friends and family with Shopee promos. This year-end shopping festival stretches across 4 months – from September through January. Powered by ShopBack, ShopFest helps shoppers navigate the deluge of sales events towards the end of the year. ShopFest comprises a series of 6 major events – MYCYBERSALE, Rewards Day 9.9, 11.11 Singles’ Day, Black Friday Cyber Monday, 12.12 Online Fever and Year-End Sale. During the 4 months, ShopFest-related content and promo codes will be made available to you across all our platforms to enhance your shopping experience. In addition, there are exciting giveaways to look out for. Last year, we gave away exciting prizes like the Samsung A8, Tefal 5-piece Cookware Set, FOSSIL watch and so much more. If you’ve missed the 12.12 promotions and didn’t manage to get your Christmas shopping done, fret not because there’s one last sales at the end of the year. The year-end sales starts on 16 December and ends on 3 January the following year. Stock up on gifts to fill your Christmas stockings or prep for the new-year party with year-end coupons and promo codes by some of our top merchants including Shopee, Zalora and Lazada.